Tamra is a Logistic Specialist with a large manufacturer and distributor of presentation and collaboration technology. 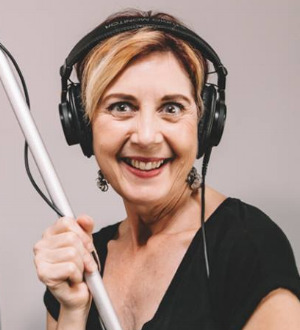 She is professionally involved in the film and television industry, as well as a Certified Image Consultant and Makeup Artist – “our resident fashionista.” God used the brokenness of divorce to bring Tamra to Him late in life and to equip her to minister to others in similar circumstances. As a single parent, Tamra has experienced the Body of Christ as the incubator of healing and restoration. Through this God gave her a passion to minister to single parents; He had a plan and a purpose for the pain. Tamra is responsible for sound, vision, and technology for Life in Sweet Abandon. We appreciate her contributions of time and expertise! Jenny is a single, working woman, with a BA in Communications and a Masters in Intercultural Studies (Missions). She is a woman in love with the Lord and her journey of faith has led her to a passionate awareness of God's presence and power, moment-by-moment and day-by-day. Her heart is discipleship, specifically seeing believers grounded in their faith through a deep knowledge and understanding of the Word of God and a dynamic, personal, and intimate relationship with the Lord. She has made the phrase, "To Know Him and to Make Him Known" her life's pursuit. Jenny will greet you at the door and welcome you to our group! She also contributes to the discussion time using her knowledge of scripture and devotion to the Lord. We are grateful to have her on the team! Kelly Kirby is an artist, writer and Jesus girl with a passion for helping others discover and embrace the beautiful woman of God they were created to be. He has prepared her by using circumstances in her life, painful circumstances, to equip her to now turn back and help others. She loves to write about her journey and inspire women to trust God and to know who they are in Christ! “The process of healing has been the most difficult challenge of my life yet, the most rewarding in becoming a truly whole and healthy woman. I now fully understand that our identity cannot be in being someone’s wife, a great career or even in being a mother…our identity must rest solely on Christ," says, Kelly. Kelly is responsible for marketing and social media for Life in Sweet Abandon. We are blessed to have her on the team!